The central bank released a report telling the world why cryptocurrencies can not be a currency, only the central bank can have a real currency, translation, they don’t want the public to realize that there is an alternative to their system. The Global Economy continues to decline, here in the US people are having a rough time renting homes. Next mortgage is on it’s way the the big banks are making sure that the shadow banking system is going to get hit. Russia and many other countries are dumping treasuries, so who is buying them. The global bond curve just inverted. How do you destroy the central banking system, destroy the currency. Paris is now putting up bullet proof glass around the Eiffel tower. US has a list of 47 demands for North Korea. DHS is warning of a cyber attack from NK. Afghanistan President is extending the ceasefire to the Taliban. Syrian opposition is working with the Syrian government on the new constitution. New false flag warning in al-tanf Syria. 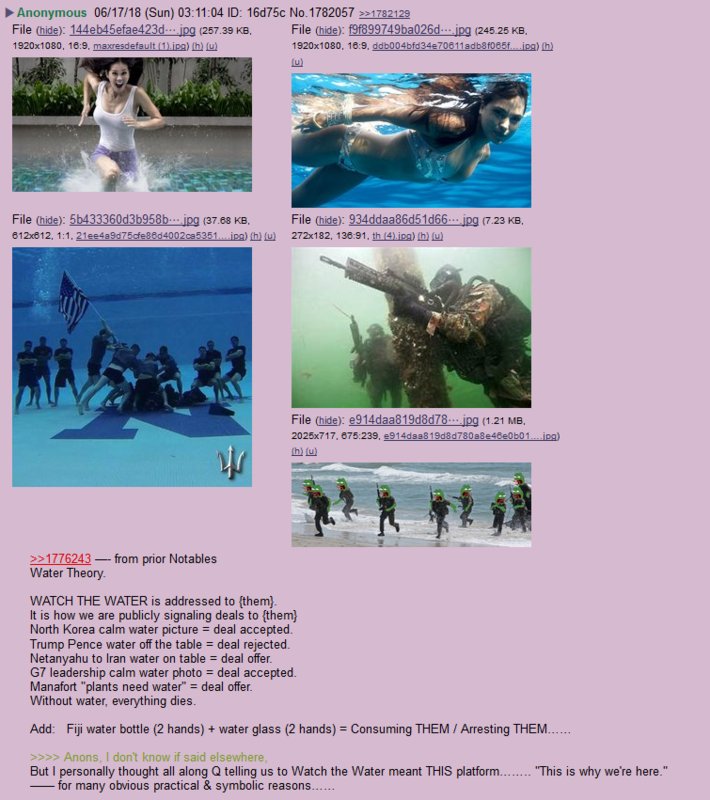 Q dropped more bread crumbs. 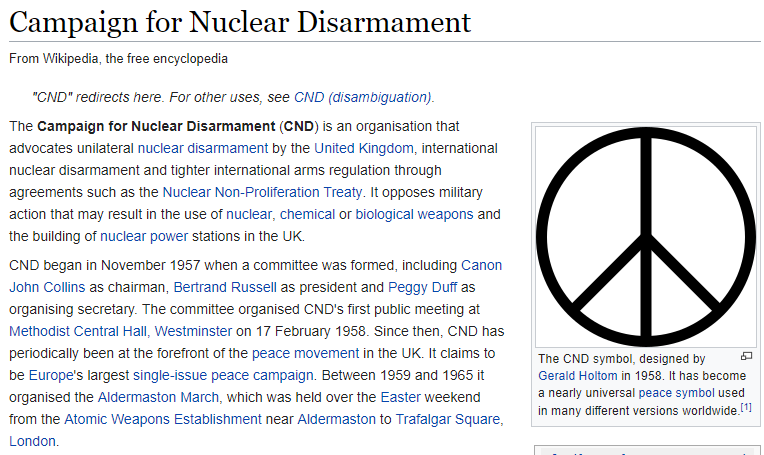 These new bread crumbs cover the corruption, scams, lies and many other things, it is all about to hit the mainstream and its going to be like a nuke exploding. The document, titled “Cryptocurrencies: looking beyond the hype” and released by the Bank of International Settlements (BIS), explains the history behind the technology and analyzes whether it can truly creating a trustless form of money. As previously reported, the release precedes the organization’s full annual economic report, which will be published next week. This massive communication volume is what would impact the internet, according to the report. Buy and sell bitcoin right in Cash App…now in New York! As Bloomberg Law reports, Square Inc. is the latest company to snag a BitLicense for virtual currency products from the state of New York. There are now nine companies with crypto licenses or charters granted by New York. The average renter in each county across the U.S. makes enough to afford a two-bedroom in only 11 percent of counties, and a one-bedroom, in just 43% . Wells Fargo used to be the largest mortgage lender in the US until fairly recently. But it fell to second place, trounced by a “shadow bank.” In Q1, the number of purchase mortgages and refis it originated, 44,320 in total, plunged 37% from a year ago. And dollar volume of mortgages originated plunged 30% to $14.5 billion. 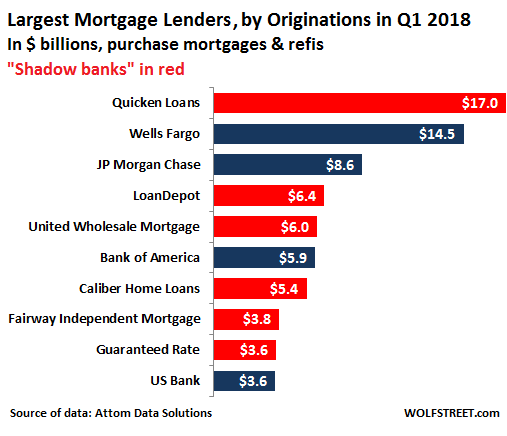 The largest mortgage lender in Q1 was a shadow bank: QuickenLoans. Its total mortgage originations edged down 3% to 73,896 mortgages, though dollar volume rose 4% to $17.0 billion. Third largest mortgage lender was JP Morgan Chase. Its mortgage originations plunged 21% to 27,329 mortgages. And dollar volume plunged by 21% to $8.6 billion. Fourth largest was a shadow bank, LoanDepot. Its mortgage originations soared 27% to $24,691 mortgages. And Dollar volume soared 29% to $6.4 billion. Fifth largest was also a shadow bank, United Wholesale Mortgage. Its mortgage originations skyrocketed 55% to 20,387 mortgages. Dollar volume skyrocketed 67% (!) to $6.0 billion. This is the trend: Banks are pulling back from mortgage lending in a big way, likely cherry-picking their customers to curtail the risks amid inflated prices and irrational exuberance in an environment of rising mortgage rates; and non-bank lenders aggressively chase everyone else. And since these “shadow banks” not regulated by bank regulators, they’re free to do as they please. Stanley Druckenmiller, the billionaire investor, believes that this is the time when “all you need is gold and all other investments are rubbish”. Top money managers are also recommending gold. Other countries are repatriating their gold reserves from the US Federal Reserve. Russia has increased its gold reserves in order to diversify away from the dollar. It has recently concluded a cooperation agreement with China on developing the Klyuchevskoye gold ore deposit in the Trans-Baikal region. The US gross national debt has soared. The holdings of China and Japan have fallen over the past two years. The largest holders of US Treasuries, after China and Japan. Cayman Islands: $181 billion… down from $250 billion a year ago! Germany, fourth largest economy in the world and running a massive trade surplus with the US, only held $86 billion in Treasuries in April. But that was up by $12 billion from March. So who holds the rest of the US gross national debt? By the end of April – to stay within the time frame of the TIC data – the US gross national debt had reached $21.07 trillion. This was up by $1.22 trillion from a year earlier! So who bought this $1.22 trillion of new US Treasuries? Someone must have! And who bought $1.22 trillion in new debt over the past 12 months? Not the Fed. Its Treasury holdings fell by $70 billion from the beginning of the QE-Unwind through April. Foreign holdings have only picked up $109 billion over the period. Leaves $1.01 trillion that someone else must have bought over those 12 months. But who? Mostly American institutional and individual investors, directly and indirectly, through bond funds, pension funds, and other ways. But how is it possible that the global government bond yield curve can be inverted when most developed 2s10s cash curves are still at least a little steep? After all, as seen below, After all, the flattest 2s10s government yield curve is in Japan at +17bp and although the 2s10s US government curve – shown below – has been collapsing, it is still 35bp away from inversion. There has been a longstanding narrative in economic circles that no matter what crisis occurs the U.S. dollar is essentially invincible. Reason 1: just before the derivatives and credit crisis in 2007/2008 the majority of mainstream economists were so certain that U.S. housing and debt markets were invincible, and they were terribly wrong. Whenever the mainstream financial media are confident of an outcome, expect the opposite to happen. the dollar is in demand now, this is only because the current system has been propped up by endless Federal Reserve stimulus. If the Fed continues to cut assets and raise interest rates, then emerging markets and others will look elsewhere for support. The dollar is only valuable to global markets so long as the Fed continues to provide a perpetual supply of liquidity. Major foreign economies like China and parts of Europe have been adopting bilateral trade relations for some time. Rather than intimidating these countries into capitulation, a trade war on the part of the U.S. is far more likely to drive them more closely together. Germany and China in particular have been establishing strong trade ties, and OPEC nations have been much cozier with the East. Without a massive resurrection of American manufacturing and production, we enter into a trade war with little ammunition because we remain dependent on foreign production and goods, while other nations like China can easily expand into alternative markets and retain their own production capabilities. The longer the trade war continues, the more other countries will consider the “nuclear option” of dumping the dollar as world reserve, or dumping U.S. debt. Paris is putting bulletproof walls around the Eiffel Tower to combat potential terrorist attacks as part of a project unveiled by city officials Thursday. A barrier will be placed around the famous Parisian attraction in order to shield it from possible terror threats, according to the New York Post. The 10-foot panels are 2.36 inches thick, and there will be 450 in total on the northern and southern parts of the Eiffel Tower. The panels will replace the metal barriers so tourists can get a better view of the famous attraction. The project is expected to be primarily finished in July and fully completed in September. 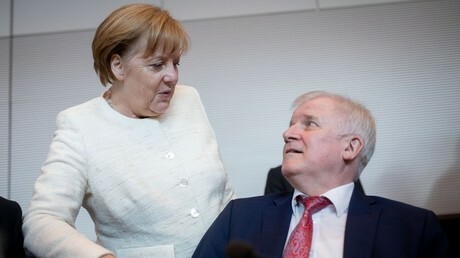 German police will start unilaterally turning away migrants who applied for asylum in a different state if Chancellor Angela Merkel fails to negotiate an EU-wide solution, Interior Minister Horst Seehofer said. DHS and FBI analysts working with US government partners highlighted the use of what are known as Trojan malware variants — software used by the North Korean government that is intended to damage or disable computers and computer systems. “The intent of sharing this information is to enable network defenders to identify and reduce exposure to North Korean government cyber activity,” the report added. the opposition list consists of one hundred names, half of which were picked by the Syrian Higher Negotiation Council (SHNC), while the other half was picked by the Russian-backed Moscow Platform, the Saudi-backed Syria’s Tomorrow Movement and the independent Tayar Qamah. Another high ranking rebel commander has been assinated in the northern province of Idlib, pro-opposition activists reported this morning. Syrian Human Rights Network head Ahmad Kazem has told Sputnik that US intelligence was preparing a provocation involving chemical weapons near al-Tanf, Syria, and that its purpose will be to drive a wedge between Damascus and Syria’s Kurds. “Right now [at At Tanf] preparations are being made by US special services in coordination with Daesh (ISIS)* in the region to stage a provocation identical to the kind that took place in Douma,” Kazem said. “Kurds, including women and children, are being prepared for the false flag operation,” he added. Kazem thinks there is an ‘extremely strong’ probability for the provocation to be carried out. “It is being prepared with the goal of causing a collision between the Kurds and the Syrian army,” he said. how is it a ‘proof’?? Q confirms that Manafort was a plant. “But a plant by whom?” you may be asking. Siddiqi’s father was an arms dealer in Pakistan and London, working with Mika Brzenski’s father, National Security Adviser Zbigniew Brzezinski in the 1980’s, on a secret CIA/ISI program called SOVMAT, that involved buying weapons from Eastern Europe and China, through shell corporations.Anon here theorizes that Obama’s 3-week visit to Karachi in 1981 is the source of the soon-to-be-released AK pic, where he may be shooting either a flag, or an American citizen. Ah, okay, so this is the video clip that “EbonicsAnon” above was trying to reference. Seriously, don’t skip it. Watch it. If you listen to it, Bartiromo asks Nunes why the Strzok text regarding “stopping Trump” didn’t appear until the IG report, which other texts did. Nunes wants to know why, to, because he’s wondering if higher ups are trying to cover this thing up, or clean it out. Of course, we already have a pretty good idea of what’s going to happen as a result of this, and what that will lead to – the release of an unedited/unredacted IG report – as per the steps Q laid out for us before. Q, Happy Father’s Day! You are furthering the Divine Stride of our Founding Fathers. May you feel their blessing and may they shower keen intelligence, power and safety upon you. Hear that? #POTUS is talking to you! >What will this week bring?Proof [RR] altered the IG Report! 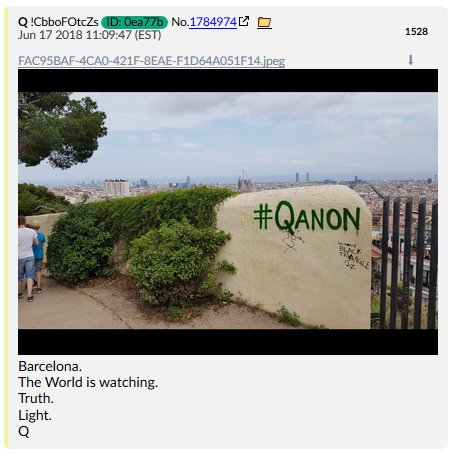 Though I’m wondering if Q is mentioning Barcelona for a specific reason. Setting up a past to prove a future, so to speak. 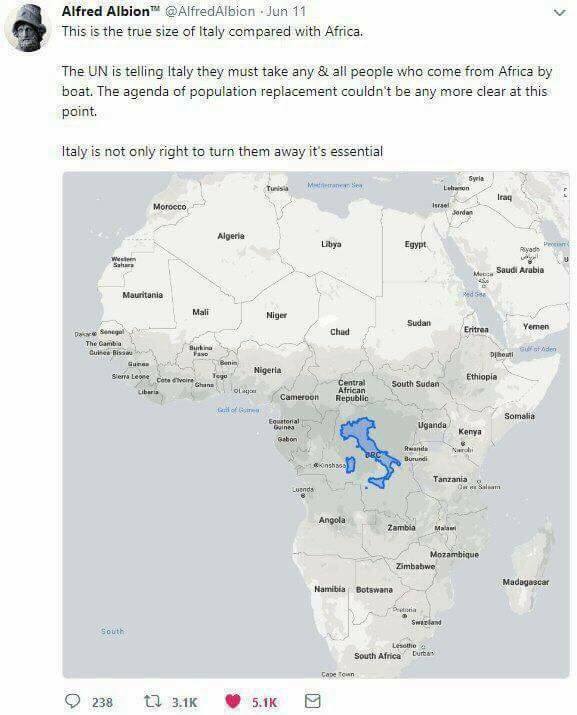 Wouldn’t be surprised. And it looks like Frau Merkel herself might be out in a matter of days! The Cabal’s mad experiment know as the European Project is crashing down, as more countries weigh the benefits and commit to leaving! And it is glorious! 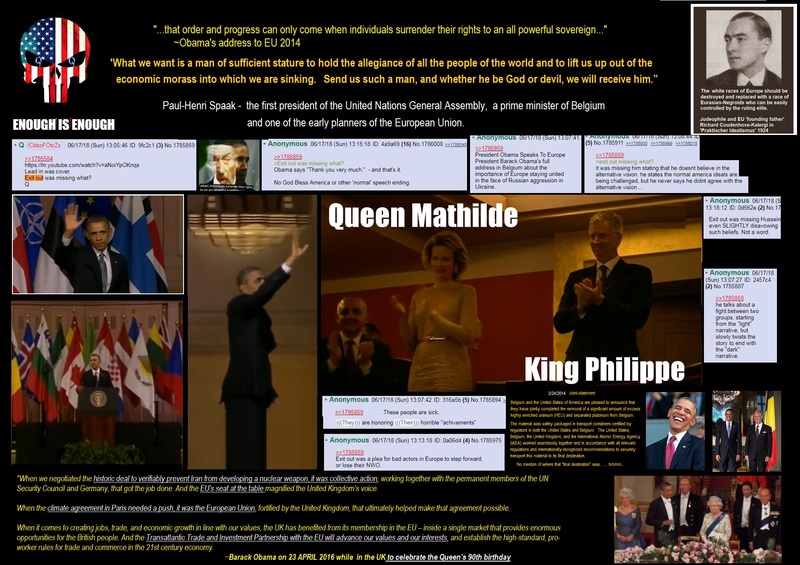 Q#1530:Lead in was cover.Exit was missing what?https://youtu.be/aNoiYpOKnqs3:25 – the small minded people quote.6:15-6:40 confirming ‘deep state’ action in Hungary that caused a revolution. Maybe the assassination of Franz Ferdinand? Can’t help but think that’s another lie.6:45 “Czechs waged a revolution Without firing a shot” is that why Q always brings up the shot heard around the world??? Who shot Franz??? Exit was missing what? God bless America.